It's the time of year when students try to balance their studies and their sports. It can be hard. But as athletes know, just because it's hard or challenging doesn't mean it's impossible. Find yourself stressing or feeling too busy? Try keeping a planner or a calendar app. Record any practices, homework, upcoming deadlines and activities. You won't worry about forgetting anything, and it's all in one place--a time saver! Why do you love your sport? No, seriously! Let that love of what you do override any stress, worries, or fears you've accumulated throughout the day. Enjoy your practices--be a confident student just like you're a confident athlete. I've often noticed that after a crazy day, skating practice really made the me more calm and confident for the rest of the day.. In a rush, it can be really easy to skip breakfast or a workout time, but all those choices affect your training and performance. Drink lots of water and don't get dehydrated. If need be, grab a quick healthy granola bar (we like Larabars). And get enough sleep! The more sleep you get, the easier school will be, and the better your performance in sports will be! 4) Have fun! 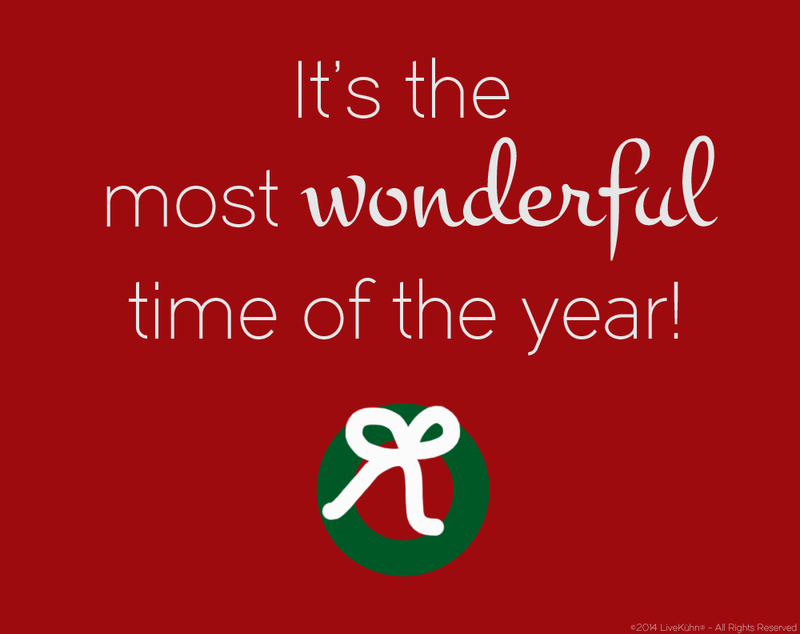 Life is a blast if you make every day great! Remember to keep a positive attitude--then everything will be so much easier! And think about school this way: the sooner you get your schoolwork and studies done (well), the sooner you get to skate and have fun! 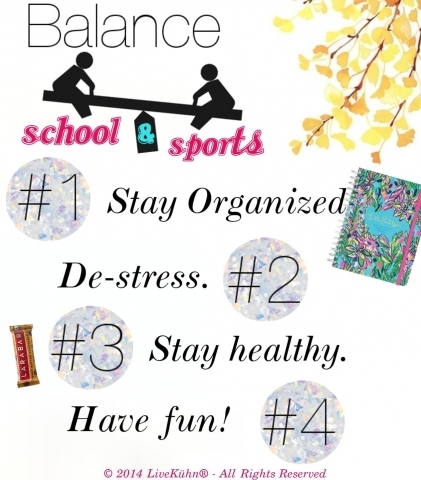 Remember these tips for stressless sports and studies! Be Bold! Have any other suggestions? Email us! Are you trying to decide which PeacePad™ is perfect for you? 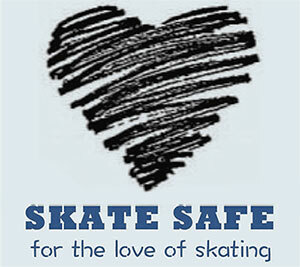 For some skaters, the original HIPeace™ is great for training, and the HIPeace™ Competitor® is best for competition. For other skaters, the Competitor® can be perfect for practice. Wondering what we'd recommend for you? 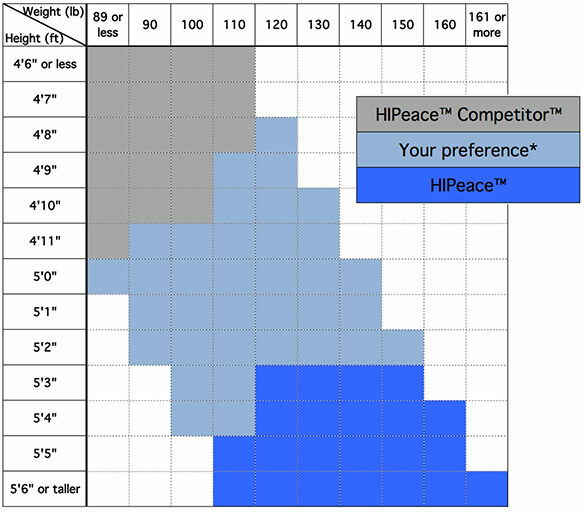 We've created this chart to help you choose your PeacePad™ based on your height and weight (and skating). These are generalizations we've developed based upon our testing and customer feedback. Check it out! Still not sure? Feel free to ask us for a personalized recommendation! Speaking of “s’mores,” today is National S’mores Day! 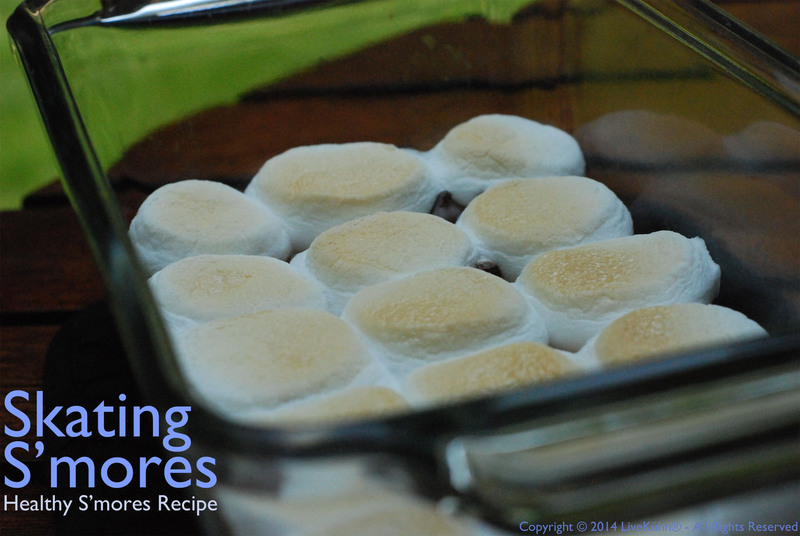 We’re sharing this original recipe by LiveKühn’s Rachel, an alternative recipe for healthy s’mores! They make a great dessert (or snack), especially since we’ve reinvented the graham cracker portion so they’re healthier! The best athletes choose the best protection and padding. LiveKühn® has athletes all around the world who have trusted us for their figure skating pads, snowboarding pads, or protection for whatever they love to do. We are proud to provide performance protection for the best in the world and those who aspire to be the best. 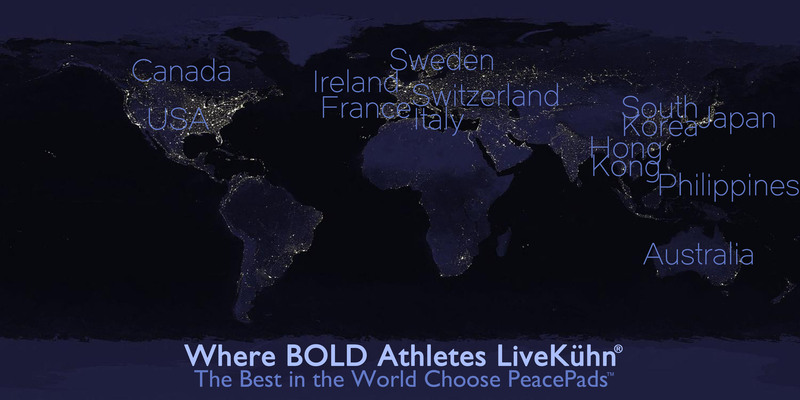 LiveKühn® athletes from around the world are becoming bold every day. Hello to our customers from the USA, Canada, and Australia, bonjour to France, hallå to Sweden, hallo to Switzerland, 안녕하세요 to South Korea, こんにちは to Japan, 你好 to Hong Kong, and kumusta to Philippines. Thank you for choosing LiveKühn! Thank You! Merci! Tack! Danke! 감사합니다! ありがとうございました！ 謝謝！Salamat! 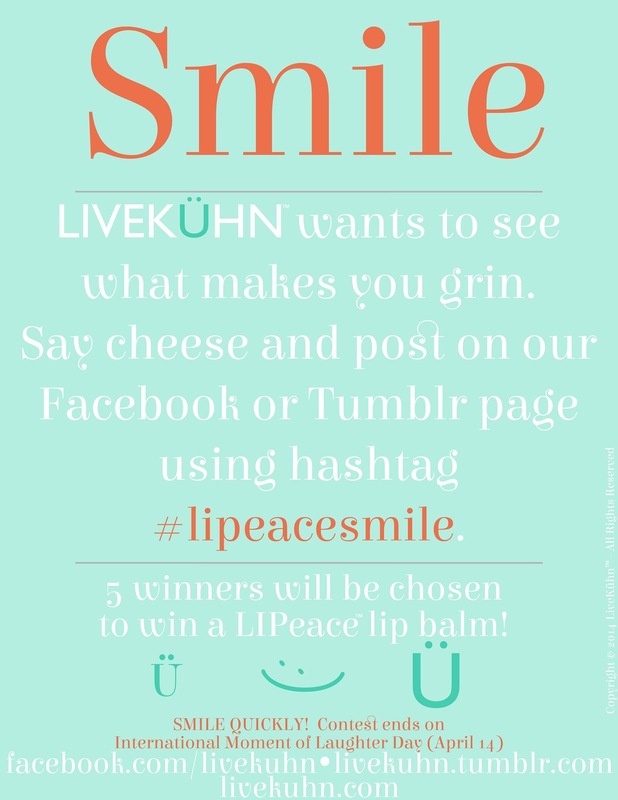 Have you tried our amazing new LIPeace™ Lip Balm? Want to try it for free? Here's your chance! We want to see what makes you smile. Post a photo of anything that makes you happy on our Facebook page or Tumblr page using the hashtag #lipeacesmile, and you'll be entered to win. Easy peasy! 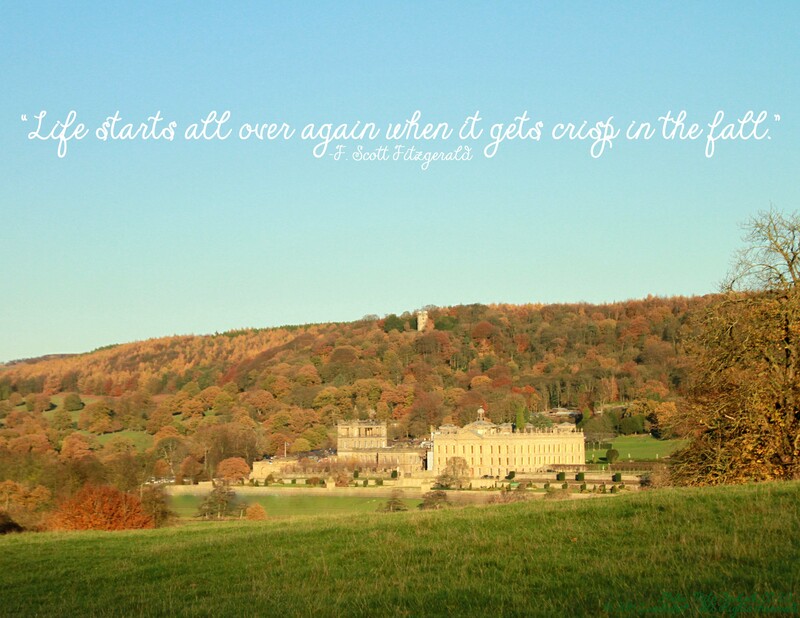 But act fast: This contest ends April 14, 2014. Say cheese! LiveKühn is excited to announce our new line of LIPeace™ Lip Balms, developed specifically for athletes. Focused on delivering the level of performance, comfort and protection the LiveKühn product line is known for, our new products are uniquely formulated for the conditions that ice skaters and winter athletes endure. Made in the U.S.A. with the finest certified organic beeswax and botanical oils, these new premium lip balms perform as great as they taste. For those who take their winter sports in the sun, LIPeace™ Lip Balms also provide SPF 15 protection – ensuring your day on the slopes ends as comfortable as it starts. With five bold new flavors and competitive themed artwork, your LIPeace™ stick will be the talk of the boards or the park. Flavors include: Champion Cherry™, Revolutionary Raspberry™, Stoked Strawberry™, Performance Peppermint™ and Victorious Vanilla™. With performance and protection being hallmark ideas for our company, this newest addition to our product line is intended to let our athletes stand out and be bold, while at the same time looking, feeling and performing their very best!